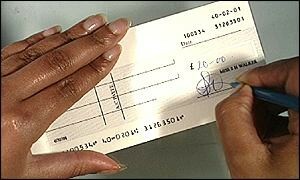 Law Web: How to determine court fees in suit for mandatory injunction for return of cheque? How to determine court fees in suit for mandatory injunction for return of cheque? to the defendant covered by the cheques in question. Suits Valuation Act, 1959 is proper cannot be faulted with. Bank (1988 (1) KLT 553). The Civil Revision Petition fails and is dismissed.